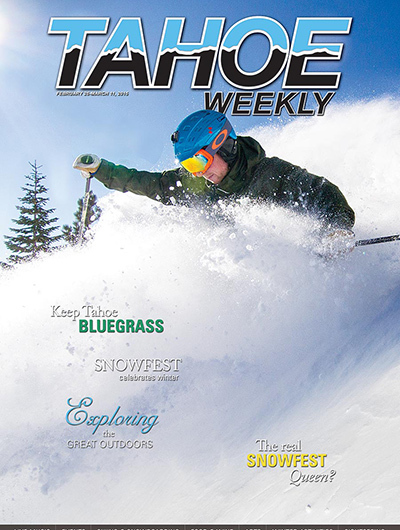 The Bacchi’s tradition dates back to the twenties, when alpine skiing in the area was virtually non-existent, and regal steamships cruised the waters of Lake Tahoe. 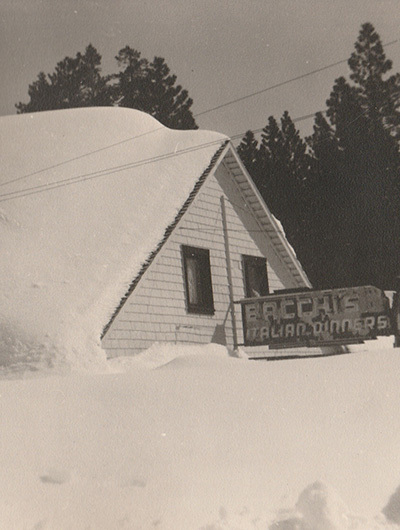 The original founders of the restaurant, George and Josephine Bacchi, used to haul fruit from Sacramento to their fruit stand in Tahoe City (where the Travelodge now stands). 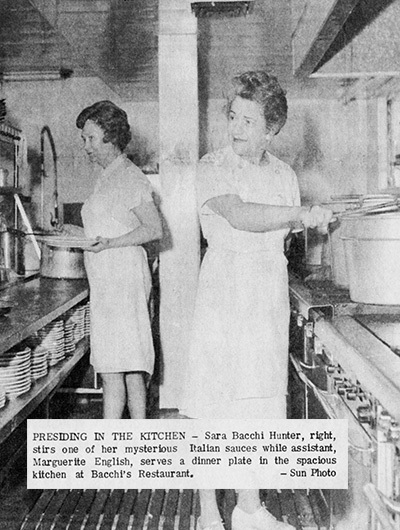 Mrs. Bacchi became popular for the homemade Italian meals she sold at the stand — so popular in fact, that Mrs. Knight, of Vikingsholm fame, would send her chauffeur half way around the Lake just to buy a Bacchi’s dinner. It was Mrs. Knight who persuaded the couple to open a restaurant. 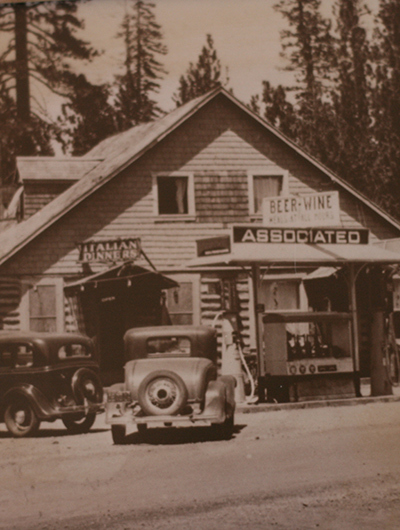 Business flourished, and in 1932, the family relocated their establishment to its present location in Lake Forest.